The Golden Globes officially kicked off awards season, and we caught the first glimpse of what will be trending in 2017. One big takeaway? The no makeup look is in and celebrity skin care is the spotlight. We saw A-Listers like Emma Stone, Jessica Biel and Kristen Bell ditch the traditional smoky eye and bold lip in favor of delicate, natural tones on the eyes, lips and cheeks. The no makeup look has been picking up steam for the past few months, largely thanks to Alicia Keys. Other celebrities, including Gwyneth Paltrow and even contour queen Kim Kardashian, have also embraced a bare-faced look, and women in Miami and around the country are starting to follow suit. Having great, healthy skin is key to acing the #NoMakeup look, which isn’t so much about completely shunning makeup than it is about having confidence and embracing your natural beauty. But getting glowing, radiant skin doesn’t come naturally for everyone – even Alicia relies on regular beauty treatments and acupuncture. 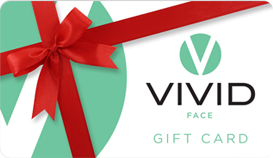 At Vivid Face here in Miami, we understand that everyone’s skin is different, so we provide customized laser facial treatments for each client that target his or her own unique problem areas (yes, we said his, more and more men are embracing this fast, efficient way to look better and due to the laser technology, the investment is an easy decision). Some of us suffer from sun damage, while others have fine lines or wrinkles. That’s why the Vivid Face team sits down with each client prior to treatment to get to know you and your skin. Your treatment is not only customized but personalized to help you achieve your desired goals. So whether you are planning to jump on the #NoMakeup bandwagon or not, consider a healthy skin regimen for one of your 2017 resolutions. Your selfies will thank you for it!